Jesus, the cool-as-a-cucumber, emotionless, impervious Savior; that’s the sense many people have of him. But look at these verses. Here is Jesus, “the eternal Son of God,” who “became man, and so was, and continueth to be, God and man in two distinct natures, and one person, forever” (Westminster Shorter Catechism 21) in the Garden of Gethsemene, and he is “… greatly distressed and troubled...very sorrowful, even to death” and so forth. As we delve into this more fully, we will see that our Lord suffered psychologically, somatically, spiritually, and socially. “Greatly distressed and troubled” (33) – The two Greek words used here are intense. Max Zerwick, S.J., translates them this way, “he was seized by horror and distress” (“A Grammatical Analysis of the Greek New Testament,” 5th ed., p.156). This is not language used of one who is depleted of all emotion. Here is our Lord Jesus, overcome with the darkness before him, the terror of what he was about to enter into. Psychological suffering. “Surely he has borne our griefs and carried our sorrows” (Isaiah 53.4a). “Very sorrowful, even to death” (34) – This is a deep sadness, not something light or surface level. You could even say he expressed a dark depression; the kind that makes one feel like death itself has closed its black arms around the sufferer. This was the kind of language used by a young woman I sat with once who was swallowed up in heavy despair, “I’m so sad, death would be far better than this!” and then she went on to attempt suicide. Psychological suffering. “Surely he has borne our griefs and carried our sorrows” (Isaiah 53.4a). 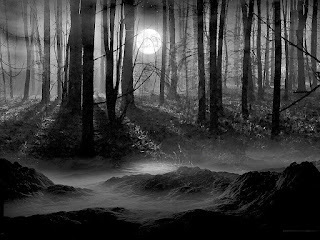 “He fell on the ground” (35) – The weight of the darkness and distress crumpled him to the ground. He didn’t lie down gently; he fell under the pressure. Our Lord is burdened to the breaking point! Maybe you have been here before where the grief, or fear, or dreadfulness of a situation has brought you to your knees or flat onto your face because you could no longer stand up straight under it all. Where your body gives out on you. That’s exactly the scene in this passage! Somatic suffering! Our Lord suffered psychologically and somatically. “Surely he has borne our griefs and carried our sorrows” (Isaiah 53.4a). “Remove this cup from me” (35b-36) – “Find another way, if at all possible!” There is an almost desperate situation here. The Son who always does what the Father desires, who has always known the Father's pleasure, finds himself faced with the Father's displeasure and anger for the first time and is teetering on the brink looking into the dark chasm of disobedience! The temptation is real, raw, and rife! Though our Savior doesn’t give way to the temptation, see here that he is suffering spiritually! Our Lord suffered psychologically, somatically, and spiritually! “Surely he has borne our griefs and carried our sorrows; yet we esteemed him stricken, smitten by God, and afflicted” (Isaiah 53.4). 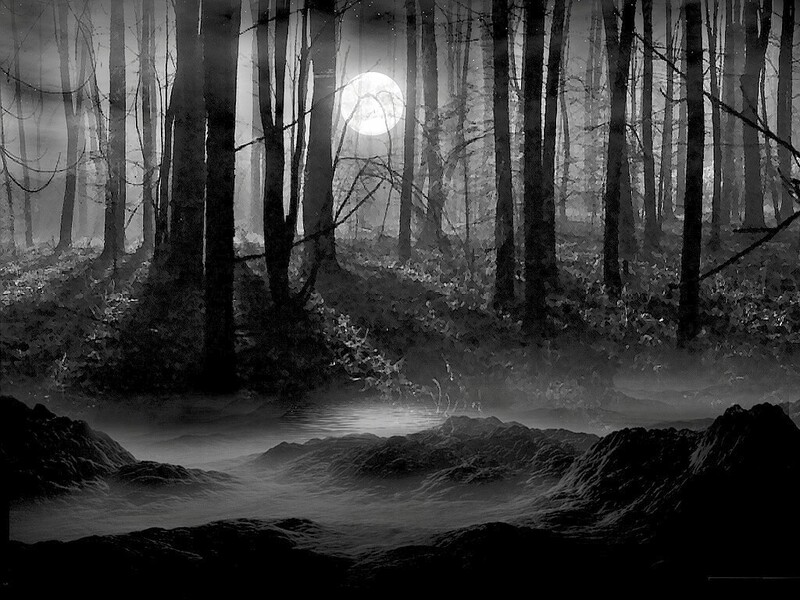 Kissed by the betrayer (41b-42, 45) – Social suffering! Ratted out by one he loved and treated as a rapscallion and rogue by society! Our Lord suffered psychologically, somatically, spiritually and socially! “He was despised and rejected by men, a man of sorrows and acquainted with grief; and as one from whom men hide their faces he was despised, and we esteemed him not” (Isaiah 53.3). What you see here in the garden continues on to Calvary where our Lord suffered on the cross somatically; he suffered at the cross socially as he was taunted by all those around him; but he also suffered psychologically and spiritually, crying out "Eloi, Eloi, lama sabachthani!" Jesus was willing to go to these densely dark depths to rescue his people from their doom! You may have heard of the French fire brigade chaplain, Fr. Fournier. While the cathedral of Notre Dame burned last week, he risked life and limb to rescue relics of great value to him, plunging into the smoke-saturated, blazing-hot cathedral. In a similar, but greater way, our Lord leapt into the dusky, suffocating abyss of our psychological, somatic, spiritual and social suffering to rescue his people, “For even the Son of Man came not to be served but to serve, and to give his life as a ransom for many” (Mark 10.45). And he dove into the inky-black places of our shadowlands to redeem and remediate us psychologically, somatically, spiritually, and socially! “But he was pierced for our transgressions; he was crushed for our iniquities; upon him was the chastisement that brought us peace, and with his wounds we are healed” (Isaiah 53.5). 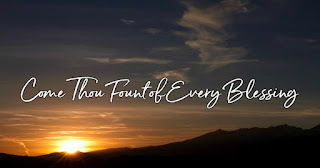 Come, thou fount of ev'ry blessing, tune my heart to sing thy grace; streams of mercy, never ceasing, call for songs of loudest praise. Teach me some melodious sonnet, sung by flaming tongues above; praise the mount! I'm fixed upon it, mount of God's unchanging love. We offer our lives to you, O Fount of every Blessing; and we offer all of our engagements and employments to you! We ask you to orchestrate, fund and populate all of our grateful work, including our ESL classes and relationships, Sunday School, VBS, mission trip to Anadarko, our deacons in their deaconing and elders in their eldering. We also ask you to enrich all of our generosity and giving of time and resources to Infant Crisis Center, and other service organizations. O Lord, hear our prayer. Here I raise my Ebenezer; hither by thy help I'm come; and I hope, by thy good pleasure, safely to arrive at home. Jesus sought me when a stranger, wand’ring from the fold of God: he, to rescue me from danger, interposed his precious blood. We beseech you to lift up and deliver any and all who are hurt, harassed, or in harm’s way…, that they may raise their Ebenezer memorial stones, giving you perpetual praise that ‘hither by thy help I’m come.” And, O gracious seeker, it is our heart’s desire to see these we are about to mention before you, these who are “strangers, wand’ring from the fold of God” to find you rescuing them from danger, interposing your precious blood… O Lord, hear our prayer. O to grace how great a debtor daily I'm constrained to be; let that grace now, like a fetter, bind my wand'ring heart to thee. Prone to wander - Lord, I feel it - prone to leave the God I love; here's my heart, O take and seal it, seal it for thy courts above. We pray for our little children, adult kids, older mothers, aged fathers, grandparents, Uncles, Aunts, sisters, brothers and all in our families… and we pray for ourselves that they and we would continue faithfully in this long obedience in the same direction, this race, looking ever and always unto Jesus the author and finisher of our faith; and we pray, here's my heart, O take and seal it, seal it for thy courts above. O Lord, hear our prayer. 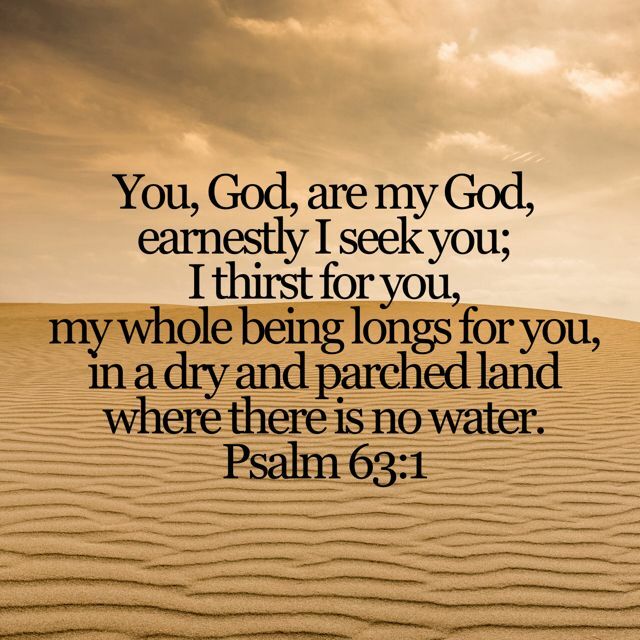 O God, you are my God; earnestly I seek you; my soul thirsts for you; my flesh faints for you, as in a dry and weary land where there is no water. So I have looked upon you in the sanctuary, beholding your power and glory. 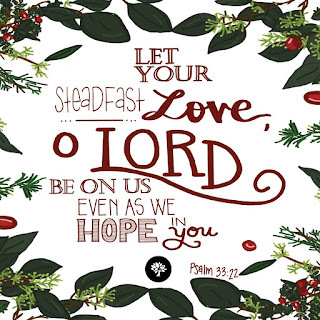 Because your steadfast love is better than life, my lips will praise you. So I will bless you as long as I live; in your name I will lift up my hands. Father, all that we are about – in our family worship, personal devotions, Sunday School classes, Worship assemblies, Care Groups, our involvement in works of mercy, mission trips, VBS, and so forth – yes, all that we are about flows from our craving to know you and be nearer to you, from our enraptured amazement at your gracious goodness to us. 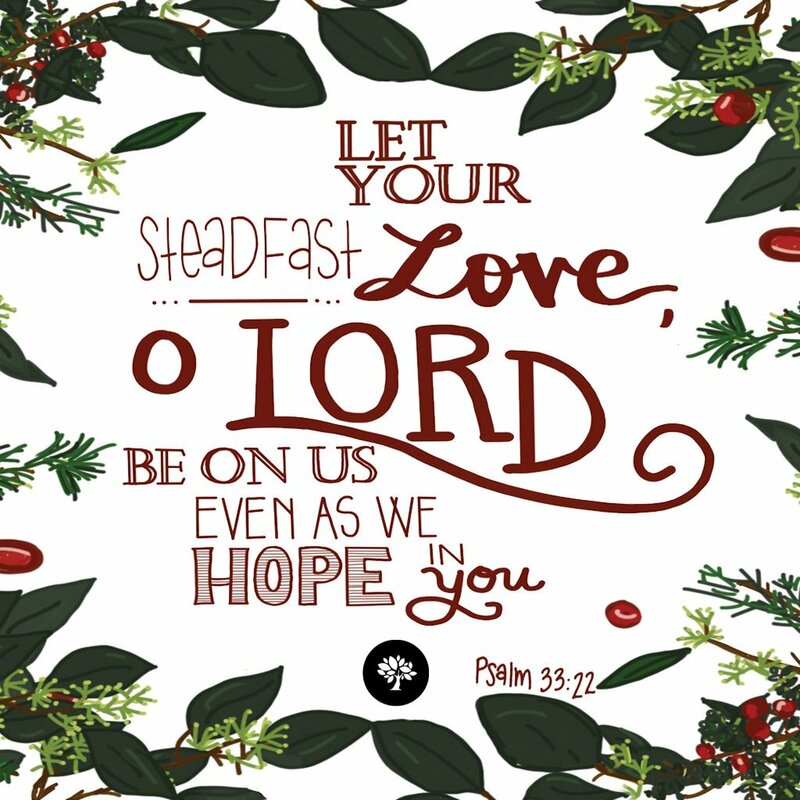 Draw us to you – this whole congregation, along with your Church worldwide and Northwest Church of Christ, Oakrest Church of Christ, Penn South Church of Christ and Putnam City Church of Christ. Slake our thirst for you; refresh us that we may rise from our faintness; and reform us that we may rightly live and rightly love. Thank you that, as Paul put it in Romans 6, we who were once slaves of sin have become obedient from the heart to the standard of teaching to which we were committed, and, having been set free from sin, we have become slaves of righteousness (Romans 6.17-18). But those who seek to destroy my life shall go down into the depths of the earth; they shall be given over to the power of the sword; they shall be a portion for jackals. But the king shall rejoice in God; all who swear by him shall exult, for the mouths of liars will be stopped. O God, who does not desire the death of the wicked, but that they should turn and live (Ezekiel 18.23, 32): save those who hate us and staunch those who seek to hurt us. Stop the mouths of those who deliberately and devilishly pervert your truth. Arrest those who use their powers to emasculate and eradicate equity and goodness. Guide our country we love so dearly that the people and powerbrokers, citizens and senators, juries and judges; masses and magistrates may all rejoice in you, and would work toward uprightness, racial fairness, national integrity, and moral industry. May we promote and protect justice and liberty for all – free born, foreign born and unborn. We ask all of this in the name of, and for the honor of, your Son, Jesus Christ our Lord. Amen. "You seem like someone who reads a lot and then really utilizes your reading. Would you mind taking a few minutes just to share some thoughts or tips on how you approach reading? What do you read? How often? How do you process it and share it with others? That sort of thing." (1) I read multiple books at once. If one really snags my heart, I put the others aside until I finish that one. If none snag my heart, then I read a chapter of one, play an online chess game, then read a chapter in another. At that pace I can finish two books in two to three weeks. 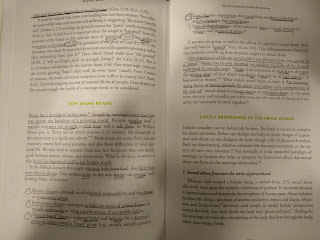 (2) I mark my books up like crazy, and write in the margins every so often when something sticks out. Usually in the intro the author states what the book is about, and so I underline that sentence or two, and write in the margin "This Book:" If the author goes further and mentions an aim I mark it and write in the margin "His/her Aim:" etc. I also circle page numbers and draw arrows from the page number to a hugely significant concept. The reason I do these things is so later when I flip back through the book I can easily see what was so important. (3) Once I'm done reading I write a review of the book and post it. The review is for my benefit. I have to explain what the book is about, how it unpacks, what might have been huge thoughts/concepts, what I disagreed with, etc. If I disagree with something, I try really hard to be charitable and yet clear. And I try very hard to keep my reviews to around 700 to 800 words (not always successful, but I normally am), which means (a) I can't write out everything in my head, (b) that I need to boil things down and compress them, (c) and find a way to be interesting while being brief. (4) I read a fairly wide variety of things: Martial Arts, History, an occasional biography, some fiction, once in a while something psychological or therapy-oriented, and loads of theology/biblical stuff from folks all over the Christian spectrum. There's more I could say, but this will have to do for now. Let me know if you have any questions. For the word of the LORD is upright, and all his work is done in faithfulness. He loves righteousness and justice; the earth is full of the steadfast love of the LORD. As your upright word goes forth from your preachers, evangelists, pastors and teachers, may it not return to you void, but accomplish what you please and prosper in the thing for which you sent it. May your church, including this congregation, as well Mayfair Church of Christ, Memorial Rd. Church of Christ, Midway Church of Christ and Northeast Church of Christ, display your righteousness, exhibit your justice and thrive in your steadfast love as we are reformed by your word and your way. By the word of the LORD the heavens were made, and by the breath of his mouth all their host. He gathers the waters of the sea as a heap; he puts the deeps in storehouses. O God who directs jet streams and weather patterns make the earth bountiful with your plenty. Bestow abundance and success, but may we never be beaten and bound by our abundance and success! Let all the earth fear the LORD; let all the inhabitants of the world stand in awe of him! For he spoke, and it came to be; he commanded, and it stood firm. Empower your missionaries to boldly and compassionately bring the Gospel of Jesus Christ into all lands. Open doors that are closed; open homes that are locked; open universities, colleges, schools and medical institutions that are barred. The LORD brings the counsel of the nations to nothing; he frustrates the plans of the peoples. The counsel of the LORD stands forever, the plans of his heart to all generations. Blessed is the nation whose God is the LORD, the people whom he has chosen as his heritage! O Father, we implore you to work in our own nation so that your counsels and plans might prevail in this land from the atriums of power to the alleyways of poverty! The LORD looks down from heaven; he sees all the children of man; from where he sits enthroned he looks out on all the inhabitants of the earth, he who fashions the hearts of them all and observes all their deeds. The king is not saved by his great army; a warrior is not delivered by his great strength. The war horse is a false hope for salvation, and by its great might it cannot rescue. O Lord God, may the parties, factions, organizations, and societies that promote degeneracy or savagery be stopped dead in their tracks, brought to their knees, and submit themselves to you! We also implore your graciousness and generosity to flow into the lives of our friends and loved ones who don’t know you. If humans are truly made in the image of God then there is necessarily a pious aspect to their make-up, their troubles, and to their recovery. P. Gregg Blanton, professor of psychology and human services at Montreat College since 1997, founder of the Center for Contemplation and Marriage, and active therapist in private practice, has interestingly drawn in contemplative prayer as part and parcel for helping others gain/regain well-being. This is all laid out in his brand new 232 page paperback, "Contemplation and Counseling: An Integrative Model for Practitioners". This volume is primarily for the sanative specialists, drawing from the mindfulness approaches of Kabat-Zinn and Siegel, as well as the centering prayer pathway of Meninger, Pennington and Keating. But it moves into the author's own direction. My thanks to IVP who sent me a free copy of the book on my request. And my thanks that they have given me the liberty to voice an honest review, no strings attached. Forty-four pages of grit and goodness! That's the best way to describe this booklet by David Powlison, executive director of Christian Counseling and Education Foundation and senior editor of the Journal of Biblical Counseling! Powlison writes this manuscript for those who have truly been vandalized and victimized by others. He doesn't lessen their anguish or make light of their angst. What he does do is walk the reader through Psalm 10, showing how to use the Psalm, the ways this Psalm draws us to Christ, and propels us to trust the good God, since faith "finds God in suffering, producing endurance, love, and hope" (23). Christian sufferers (the raped, abused, falsely accused, abandoned, etc.) should read this with open hearts, open journals, and ready pens. You will want to jot down notes as you become familiar with this God-given song. If you're asking yourself whether you should you get a copy for yourself or not, take this short quiz: have you had your heart bashed in by a spouse (verbally, emotionally, financially, spiritually, physically)? Have you had your childhood mangled by a molester? Have you had the integrity and peace-of-mind of your person pillaged ? Have you had your deeper emotional or economic loyalties forcefully betrayed? If you can answer "yes" to any of these questions, and similar ones, then you need to grab a copy quickly. And if you have a loved one who has experienced any of these situations, then for your own sake and theirs pick up one as soon as feasibly possible. I highly recommend this booklet.